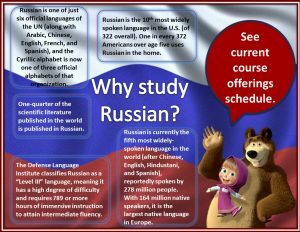 The Russian language, literature, and culture program involves a broad range of courses focusing on elementary through advanced level language skills, as well as academic experiences that highlight oral and written literacy, literary analysis, and cross-cultural studies. The Russian Major – offered through the International and Global Studies Program – fosters a critical understanding of Slavic intellectual history through the study of language, literature, theater, film, social history, politics, and contemporary culture. A program for the Russian Minor is available in this Department. 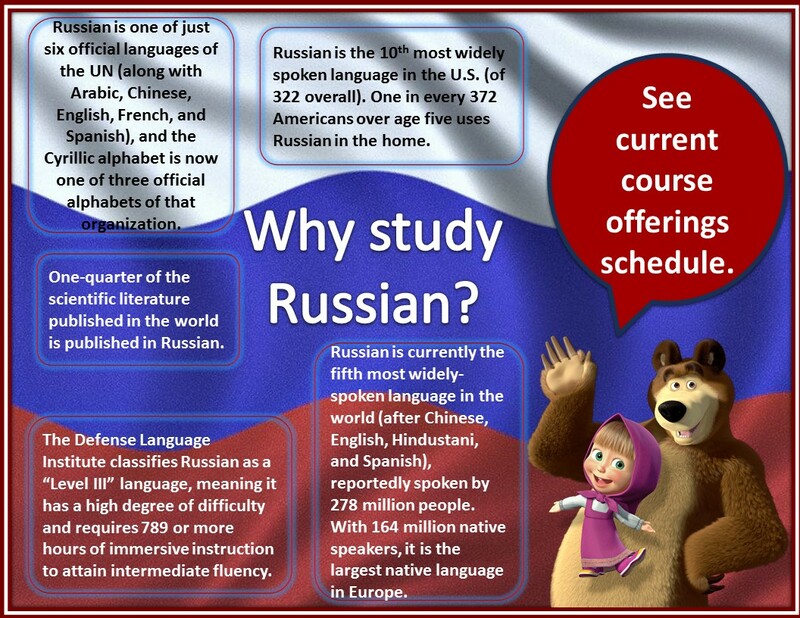 Online Russian Studies courses are available to distance learning students across the globe. Вирус Русского Языка! Click here for the Russian version!